This report identified increased vulnerability to water and crop shortages in both rural and urban Ethiopia according to age and gender. Identification of family planning as an important adaptation strategy supports the inclusion of rights-based voluntary family planning and reproductive health into local and national climate change adaptation plans. In this context, Population Action International (PAI) and Miz-Hasab Research Center (MHRC), in collaboration with the Joint Global Change Research Institute (JGCRI), have undertaken a study to investigate how people in one country hard hit by the effects of climate change relate their experiences with changes in climate to vari- ous factors affecting their ability to adapt. Using qualitative methods, this study explores how com- munities in Ethiopia react to and cope with cli- mate variation, which groups are considered most vulnerable, what resources communities need to adapt to climate changes, and also the role of family planning and reproductive health in increasing resilience to climate change impacts. 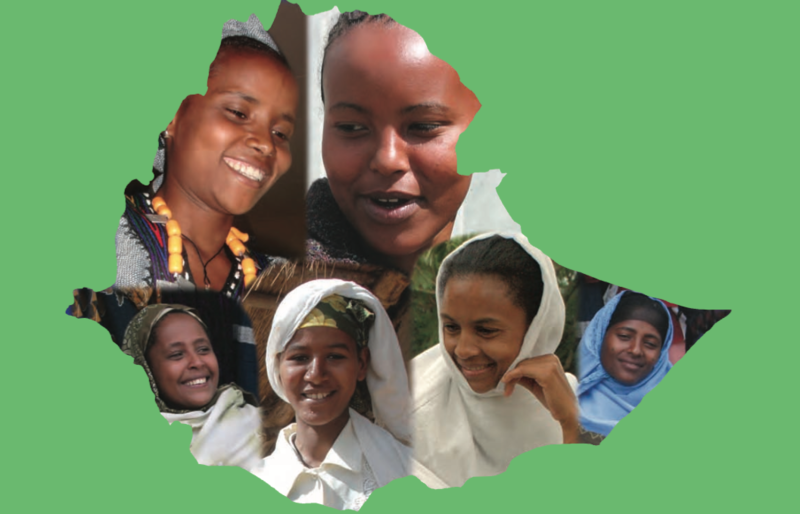 The study was carried out in 2008-2009 in peri-urban and rural areas of two regions in Ethiopia: the Oromia region and the Southern Nations, Nationalities and People’s (SNNP) region. This study in Ethio- pia is one of the rst to include rst-hand linkages of population, fertility and family size to notions of vulnerability and resilience to climate change.